Sounds like a fun weekend, enjoy!! I love the mystery to this. It sounds like you are in for a lot of fun! This is such a brilliant capture! What a neat shot - love the fog and the atmosphere it creates - hope you have a wonderful extended weekend! Wow! What a gorgeous shot. Almost invisible, hope the weather improved. This could totally be a photo taken in Lunenburg! And how wonderful that your Folk Festival will be there (which is also a favourite event of ours in Lunenburg!) You're making me homesick, can you tell?! Have a wonderful time! Absolutely brilliant!! I love the mist, the mystery, your DoF. Wonderful shot Denise.fav If you can,t behave yourself ,have fun !! Lovely foggy capture. Very atmospheric. Have a great weekend! Absolutely stunning shot. So atmospheric. Have a great weekend. not sure i would go out in that weather. enjoy your weekend. Beautiful atmosphere. Enjoy your weekend. Fav. P.S. I love Eric Bogle and Mary Black. Just get a slightly damp cloth and wipe it round the lens, it won't be so foggy then. Sounds like you're in for a good weekend, wish I was there for the folk music. Lovely capture. Very misty and atmospheric capture . The sailors have to be careful. Fog is my favorite weather condition and this is really a superb shot of it and the photo could tell so many different stories!! Have fun while you're gone!!! Will miss you, but everyone needs some fun!!! FAV! Fantabulous capture, it's a awesome composition...fav! Oh what a shot, beautiful! 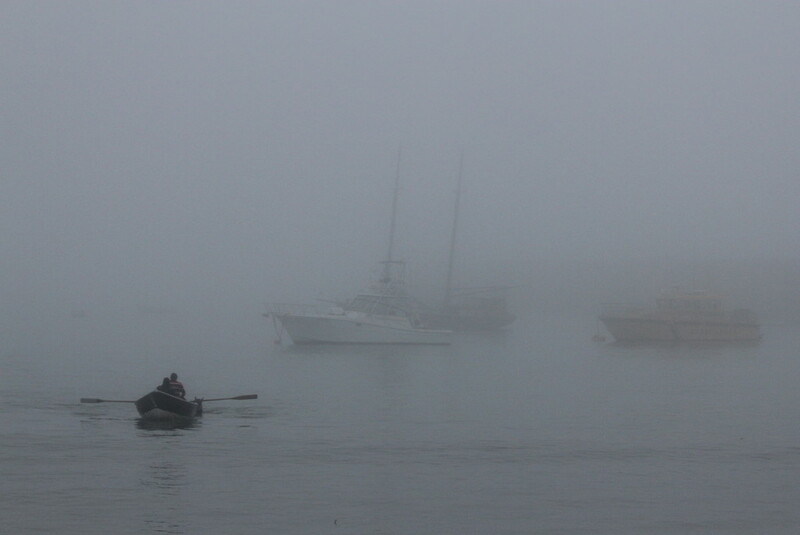 Just love the foggy suggestion of boats in the background! Fav! Such atmosphere to this shot. Love it, fav. Brilliant shot. And I hope you enjoyed the show. Eric Bogle is great! loved this -- congrats on TT! Well done on TT! Great shot. @taffy @eyesmile @oldjosh @888rachel Thanks for visiting and leaving lovely comments :) it was a surprise to see this had done so well!